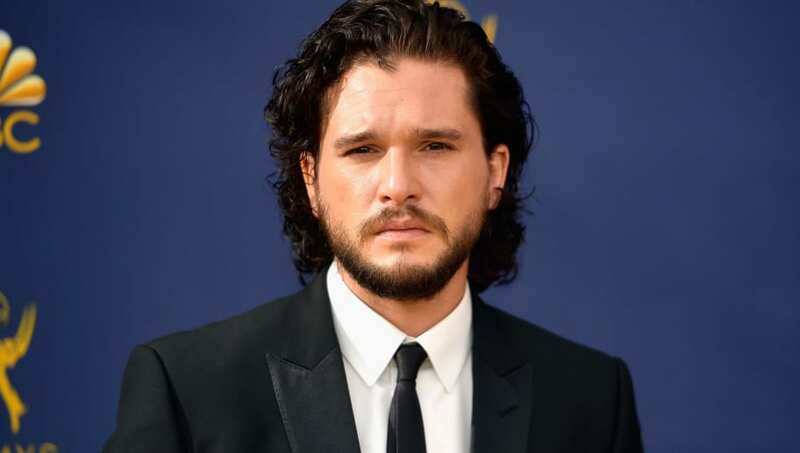 Kit Harington has played Jon Snow on Game of Thrones since he was 24 years old, and since, he has evolved just as much as his character throughout the seasons, as they grew up together. Not every scene was easy for Harington, though, and he admits there were some upsetting times during filming as well. In an interview with Variety, Harington revealed his toughest time in playing Jon Snow on Thrones was when his character died on a cliffhanger, and came back to life. During this time Harington had been on the show for five years and fan interaction and popularity was nothing new, but during that part of the show it became too much for him. “When you become the cliffhanger of a TV show, and a TV show probably at the height of its power, the focus on you is f—ing terrifying,” Harington explained. Even though Jon was dead in the show, Harington was still spotted on set and still sporting his iconic Thrones hairstyle, so of course fans started to notice and question if he was truly gone. “You get people shouting at you on the street, ‘Are you dead?’ At the same time you have to have this appearance. All of your neuroses — and I’m as neurotic as any actor — get heightened with that level of focus," Harington continued. While Harington has clearly been insecure throughout most of his time on Game of Thrones, we can confidently say he's become a well respected actor because of the role. We'll see him portray Jon Snow once more when Season 8 premieres on HBO on April 14.